Thomatal is a small village in the Lungau area. It is good for hiking during the summer season and by car you can get to skiing areas during the winter. Thomatal offers good access to the Nockberge mountain range. Beyond that, Thomatal and its 350 residents have little to offer to international tourism. Consider it therefore a destination for remote, off-the-beaten-track holidays. Thomatal has a reputation for taking customs and traditions even more seriously than the rest of the Lungau villages. And that means quite something. In terms of sightseeing, note that Thomatal was historically mostly oriented towards mining and ore procession. There is still an old oven for melting metals in the hamlet of Bundschuh. 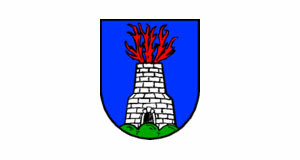 This oven is also depicted in the coat of arms of Thomatal. It was active in iron manufacturing between the 16th and the 19th century and the main sightseeing attraction of the village. Most of the current oven was built in 1862, when it was one of the most modern facilities of its kind in most of today's Austria. The iron ore that was processed here was mined about 10 kilometres away from the oven, in the hamlet of Schönfeld. The final part of the processing chain was the manufacturing of goods such as nails in Mauterndorf. Today, a small museum is associated with the oven, dedicated to the industrial past of Thomatal. The oldest trace of human activities in today's Thomatal date back to 50 AD, when the Romans built a road that went through it. There are speculations that Thomatal's parish church was built on the foundations of a Roman shrine. This would not be unusual, but there is no formal evidence for it.